These are popular with collectors, and also handy if you are looking for an interesting and unusual gift. 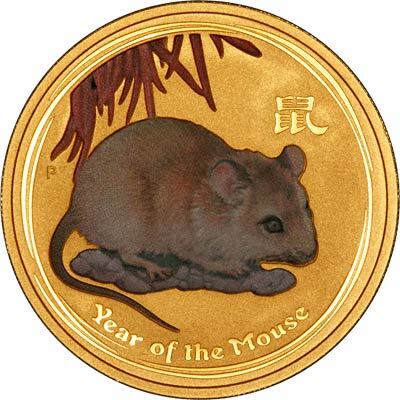 We are told that all the colour printed gold lunar coins were produced to order for one single Asian distributor. These means they are unlikely to have been readily available in Europe, or the west. We have only recently managed to acquire a quantity of them. Once these have gone, it is very unlikely that we will be able to source any more. 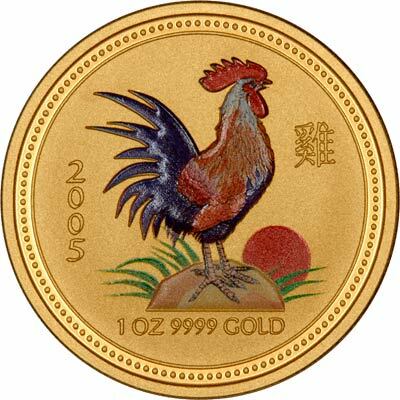 Our pricing for these coloured one ounce gold bullion coins is very competitive at £25 per coin over our normal selling price for the non-coloured version for individual coins and extremely competitive prices for quantities. Please see the individual pages for prices and to purchase online.